“Due to the current void in national leadership on the issue of climate change, efforts at the state and local level are more important than ever,” says Eri Saikawa, an assistant professor of Environmental Sciences. Saikawa is part of an Emory delegation to the U.N. Climate Change Conference talks in Bonn, Germany, which includes two faculty and 12 students. 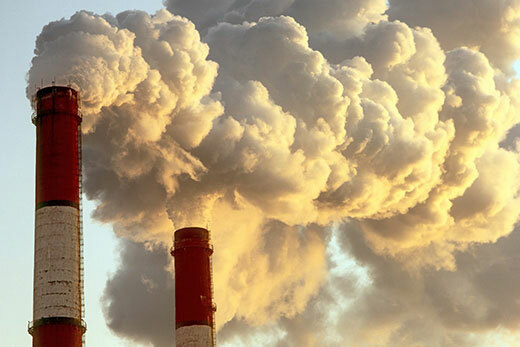 U.S. state policies aimed at mitigating power plant emissions vary widely in effectiveness, finds a new study by researchers at Emory University. Nature Climate Change published the analysis, which shows that policies with mandatory compliance are associated with the largest reductions in power plant emissions. Saikawa, an expert in public policy and the science of emissions linked to global warming, co-authored the study with Emory graduate Geoff Martin, whose thesis project focused on the topic. Martin received his master’s degree in environmental sciences in May and now works as an energy coordinator for the town of Hartford, Vermont. Their findings were released today as the U.N. Climate Change Conference (COP23) opens in Bonn, Germany. Delegates from around the world are gathering to hammer out details for meeting the goals of the 2015 Paris Agreement. The United States was among the 195 countries that committed to this framework to reduce greenhouse gas emissions — although the Trump administration has said it plans to withdraw from this historic accord.